The A330-200 was made to battle with the Boeing 767-300ER. 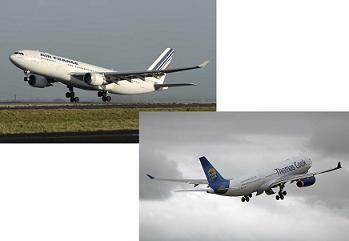 It is similar to the A340-200 and a shorter than A330-300. Its vertical fin is taller than A330-300 to bring back its effectiveness because it has shorter moment arm of the shorter fuselage. It also has added fuel capacity and, has the same MTOW with A330-300. The development for this aircraft has started in November 1995, and the initial order was placed in February of 1996. The initial flight took place on August 13 1997. The certification and first customer deliveries, was to ILFC/Canada 3000, in April of 1998.